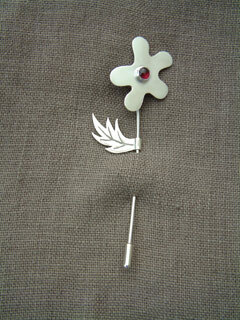 This brooch pin is very simply made with silver sheet and wire, set with a richly coloured cabochon garnet. The pin has an etched leaf that slides along the stem to the wearer's preferred position. The pin is held secure by a push on stopper.